Sharpy is also groundbreaking for the purity of its beam, which is sharply defined and free of any halo or discoloration around the edges. It offers 14 different colors and 17 gobos, allowing you to change the shape of the beam and create an array of spectacular mid-air effects. ?With its light weight and modest footprint, Sharpy is small enough to be fitted anywhere – on trusses at live and TV events, on stage, in showrooms or conference rooms. Its features include: 189w platinum 5R discharge lamp, Perfectly parallel laser-like beam sharply difined & free of any halo, Unprecedented brightness comparable to wattages many times higher, Adjustable beam angle from 0-3.8 degrees, Interchangeable color wheel with 14 fixed colors, Interchangeable gobo wheel with 17 fixed gobos, 8-facet rotating prism, Mechanical dimmer, Frost filter, Rapid & extensive pan & tilt movements, Patented Italian design, Small & lightweight which makes it easily to transport, & an Electronic ballast fitted as standard. Stage CMDR’s rental inventory consist of the industries top leading manufactures. Each piece of equipment is professionally maintained and serviced so when you pick it up, its in great shape. Call Stage CMDR today to book your next rental! The MAC 101 is a remarkably small, super light and easy-to-use LED moving head wash light with an amazingly bright beam for such a compact luminaire. It features rapid movement and calibrated colors with a low price tag that allows for revolutionary set, stage and decorative lighting design. Its features include: variable CTC, Color calibrated, 2400 IM Output, Bright & tight beam (13 degree field angle), Smooth electronic dimming, high efficiency low powered consumption with long lifetime, Ultra-compact, low weight design (3.7kg), & Rapid movement – the fastest MAC ever! The MAC Aura is the first compact LED moving head wash light with zoom that offers never-before-seen, eye-candy aura effects yet also functions as a highly capable single-lens wash with fully pre-mixed color. A ground-breaking optical system combines multicolor LEDs with backlight aura color mixing to produce an all new visual palette that takes the synthetic look out of LED for truly unique lighting designs. Its features are: Compact, low weight design, single lens wash with fully premixed color, high efficiency, low power consumption, broad color palette, RGBW color mixing, uniform shades, rapid movement, 11-58 degree zoom, aura eye-candy effects, built-in FX engine, 3850 IM output. 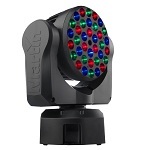 The MAC 301 Wash™ is an LED moving head wash light with a powerfully fast zoom and impressive zoom range. It is capable of producing a wide range of exceptional colors from rich saturated shades to pastels through the entire zoom range. 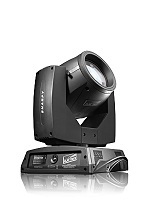 Its features include: The brightest LED moving head in its class, Excellent color mixing for vibrant saturates & subtle pastels, Smooth electronic dimming 0-100%, Fast & efficient zoom 13-35 degree, Punchy beam with great beam definition, Electronic strobe with pulse & random effects, its quiet and compact with a low weight design. The MAC 250 Entour is a brilliant, feature rich profile with two gobo wheels, a color wheel, dimmer, shutter, prism and focus. Superior optics and an extremely user friendly construction make it ideal for the rigors of today’s rental market. It features: 250w long life discharge lamp, 12 position color wheel plus open, Total output up to 5000 lumens, 10 static gobos plus open, 7 indexable rotation gobos plus open, Motorized focus, 14 degree lens included, Mechanical dimming, Interchangeable rotating prism, Strobe effect up to 14 hz, pulse effects, instant open & blackout, Pan & tilt range of 540-257 degree, Variable fan control for quieter operation & Tilt lock. The MAC 250 Wash is a powerful yet compact and remarkably efficient wash light with extraordinarily fast and quiet movement, a variable frost filter for zoom effect and a CMY color mixing system with a complimenting color wheel. It features: 250 W long life discharge lamp, total output up to 7700 lumens, CMY color mixing system, 6 position color wheel plus open, fresnel (standard) super-wide lens (included, mechanical dimming, variable frost filter, strobe effect up to 14 Hz, pulse effects, instant open and blackout, pan and tilt range of 540/257 degrees, variable fan control for very quiet operation, and tilt lock. The MAC 350 Entour is a cutting edge LED profile fixture with no peers. It surpasses what has previously been possible in terms of brightness, efficiency and compactness in a hard edge LED fixture. Featuring proprietary LED technology, it is the market’s first real alternative to traditional HID-based profile fixtures. Its features include: 7 extremely high powered LED’s, no lamp replacements, 8 interchangeable dichroic colors with split color effects and continuous rotation, Enhanced color spectrum & light quality maintenance, 6 Rotating & indexable gobos, 8000 Im output sufficient to replace 575 watt HID fixtures, Brighter then 300 watt HID fixtures, Full electronic dimming and strobing, Crisp & clean projection with no color artifacts, 25 degree field angle, Motorized focus & iris, Built in macro effects, Quiet for noise sensitive applications, Greater reliability which results in less maintenance, Compact & low weight design. The MAC 700 Profile is a compact, powerful fixture with an output and optical precision beyond its peers. It combines a full CMY color mixing system with an 8-position color wheel and a patented gobo animation system for subtle or dramatic effects. It also features rotating gobos, fixed gobos, iris, zoom system and rotating prism. It features: 700 W short arc discharge lamp, total output up to 14700 lumens, CMY color mixing system, 8 position color wheel plus open, 9 static gobos plus open, 6 indexable rotating gobos plus open, motorized zoom and focus, mechanical dimming, gobo animation wheel with full movement / direction control, interchangeable 3-facet rotating prism, motorized iris, rapid strobe effects (up to 10 Hz), pan and tilt range of 540/246 degrees, and variable fan control for quieter operation. The MAC 2000 Performance features a mechanized framing system and gobo animation module as well as a gobo and effect wheel, CMY system, and much more. It features: 1200 W short arc discharge lamp, CMY color mixing system, variable CTC, motorized zoom and focus, wide-angle beam expander, gobo animation wheel with full movement and direction control, 5 indexable rotating gobos, plus open spot, strobe effect up to 10 Hz, pulse effects, instant open and blackout and variable fan control for quieter operation. Proudly built in the USA, the VARI*LITE VL2500 Spot luminaire is based on a very popular existing lighting tool – the VL2000 Spot luminaire – with additional new features that make it even more appealing. The VL2500 Spot luminaire comes complete with all of the qualities and options designers love from the original Series 2000 fixtures. It is still small, lightweight, and fast with a 700-watt shortarc lamp, impressive lumen output, and a zoom range from 18.5° to 42°. To add to these features, the VL2500 Spot luminaire provides three-wheel CYM color mixing. When combined with 11 standard colors on a fixed wheel, the color options are practically limitless. Additionally, a coated glass dimmer wheel provides smooth fades, and a separate dualblade strobe system offers quiet and reliable strobe effects. The VL2500 Spot luminaire’s pan and tilt motors are now more powerful and provide more torque. For image projection, the fixture has one gobo wheel with five rotatable and indexable positions and a second gobo wheel with 11 fixed positions. The VL2500 Spot luminaire contains everything that really matters to designers – limitless color options, clarity of optics, exceptional zoom range, fast, smooth movement and powerful output. The VL2500 Spot luminaire can be controlled from virtually any DMX512 console or DMX output device. Proudly built in the USA, the VARI*LITE VL2500 Wash luminaire is based on one of our most popular luminaires – the VL2000 Wash – with some new changes that make it more desirable than ever. The VL2500 Wash luminaire is equipped with the same features and characteristics that make the original Series 2000 fixtures so useful. It is still small, lightweight, and fast with a 700-watt short-arc lamp, impressive lumen output, and a zoom range from 14º to 55º. Of course, the VL2500 Wash luminaire still provides three-wheel CYM color mixing. When combined with 11 standard colors on a fixed wheel, the color options are practically limitless. The new features in this luminaire are the coated glass dimmer wheel which provides smooth fades, and a separate dual-blade strobe system that offers quiet and reliable strobe effects. In addition, the VL2500 Wash luminaire’s pan and tilt motors are now more powerful and provide more torque. The fixture is the same size at the VL2500 Spot luminaire, and it has the same profile, providing a consistent hang configuration and appearance no matter which luminaire type is required. The VL2500 Wash luminaire can be controlled from virtually any DMX512 console or DMX output device. Proudly built in the USA, the VARI*LITE VL3500 Spot luminaire maintains the same high standards for imagery, beam control, color and brightness set by the original VARI*LITE Series 3000 Spot luminaires, but with the added feature of a four-blade shutter mechanism that allows the blades to be operated independently or in unison on two planes for a clear and crisp image. The VARI*LITE VL3500 Spot luminaire features a 6:1 zoom optics, CYM color mixing, variable CTO color temperature correction, a six-position color wheel, two gobo/effects wheels, a shutter and separate dimmer and ultra-fast strobe mechanisms. A standard pallet of gobos, effects and colors is provided with the unit. Custom gobos, effects and color are available. An upper enclosure houses the control electronics as well as the arc power supply for the 1200 watt short arc lamp. The arc power supply is power factor corrected for efficient power distribution. The VL3500 Spot luminaire can be controlled from a wide variety of DMX512 consoles. The luminaire is the same size as all other VARI*LITE Series 3000 luminaires, providing a consistent hang configuration and appearance no matter which luminaire type is required. Proudly built in the USA, the VL3500 Wash luminaire is the newest member of the VARI*LITE Series 3000 family of luminaries. With an output that exceeds 50,000 lumens, as well as varied new options for color and beam control, this fixture will soon be the standard by which all wash lights are measured. The VL3500 Wash luminaire features internal zoomable beam optics with either Fresnel or Buxom options, an interchangeable front lens system, and an aperture wheel. The fixture provides CYM color mixing, variable CTO color temperature correction, dual five-position color wheels, a separate dimmer, and an independent dual blade strobe mechanism. In conjunction with its zoomable optics system, Vari-Lite introduces the VARI*BRITE mode. From any zoom position, this mode can be engaged to offer a tight column of remarkably intense light making the VL3500 the most versatile wash luminaire on the market. The VL3500 Wash allows users to operate its single lamp at two different wattages via either a control channel setting or a lamp menu option. With only a setting adjustment, the fixture will run its short arc lamp at either 1200W or 1500W without any detrimental effects on the lamp. An upper enclosure houses the control electronics as well as an arc power supply for the unit’s short arc lamp. The arc power supply is power factor corrected for efficient power distribution and reliability. The VL3500 Wash is similar in size to our other Series 3000 luminaires, which provides a consistent hang configuration and appearance no matter which luminaire type is utilized. The VARI*LITE VL550 Wash luminaire is still based upon the Emmy Award-winning VL5 Wash luminaire, but with significant design improvements including a drive system that quiets the operation of all two-phase motors in the fixture during movement and while in static positions. The patented and innovative DICHRO*TUNE radial color mixing system employs three sets of 16 radially mounted dichroic blades – magenta, blue, and amber – designed to produce a smooth, full spectrum of color cross-fades. This luminaire is also available with pastel versions of the standard colors. The pastel colors offer a softer Broadway-type color palette often used in live theater.In addition to its internal dimmer for intensity control, the VL550D utilizes 16 radially mounted diffuser planes to control beam spread. For additional beam control, the VL550D may be purchased with six interchangeable lens options, including clear, stipple (included in stock fixture), 8-row, 10-row, 12-row, and Buxom. The VL1000 ERS luminaire, all models of the VL1100 luminaire have a new 50 kHz. drive system that quiets the operation of all two-phase motors in the fixtures during movement and while in static positions. They also have new, three-phase, ultra quiet stepper motors that provide a smooth, timed continuous pan and tilt motion. Additionally, a new central bearing system in the gobo wheel reduces noise and ensures smooth operation. Automated functions include CYM color mixing, rotating gobos, variable diffusion, and a zoom lens that ranges from 19-36 degrees for normal imaging and a super zoom function that ranges to 70 degrees. Models VL1100AI and VL1100AS deliver more than 15,000 lumens with the higher color temperature of the 575 watt arc source. These models also include a mechanical dimmer and a truss mounted, fanless ballast. The VL1100AS model includes an automated, four-blade shutter mechanism that provides control of all shutter functions popular in conventional ellipsoidal reflector spotlights. The VL1100AI models includes a beam size iris. An oldie but goodie, the Studio Color 250 features a high efficiency 2000 MSD250 lamp, motion rang of 570 pan and 270 tilt, CYM color mixing, soft-edge output from 115mm fresnel lens with blending curve output, 6 additional dichroic colors with seamless color change including CTO & black light filter, variable-speed strobe and full timming and fade to black. An oldie but goodie, the Studio Spot 575 features full DMX control using 24 channels with 16-bit accuracy for pan, tilt, and gobo indexing, 370 pan & 255 tilt, up to 35 combination patterns using 10 rotating litho/effects wheels, MSR 575 lamp, special effect functions tht provide color spins, random color combos, random gobos, variable frost mechanism that provides infinite beam diffusion to creat a wash effect and a dimming system that provides instant blackout, variable and random speed strobes, variable and random ramp/snap effects, and a blink functions. It can also dim while strobing.